O Magnum Mysterium, a beloved choral work by composer and USC Thornton faculty member Morten Lauridsen (’66, MA’68, DMA’74), has been selected as one of 24 works featured in the ORA ensemble’s digital advent calendar. 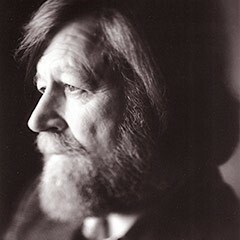 The Los Angeles Master Chorale commissioned Lauridsen’s piece in 1994, which helped to launch the acclaimed composer’s international career. ORA is a British choral ensemble founded by Thornton Choral & Sacred Music faculty member Suzi Digby. The ensemble will feature one recording each day through the advent season – visit ORA’s digital advent calendar to find out when O Magnum Mysterium is featured.